The parents of a child who underwent a procedure to remove a benign growth received a $1.5 million settlement when the procedure went wrong in 2012. The child, six years old at the time of the operation, did not receive an MRI prior to the surgery, as was the recommendation of a consulting radiologist. The radiologist suggested the MRI as a way to determine whether or not the growth truly needed to be removed, as the procedure to do so carried great risk. The parents of the child noticed a problem with facial droop immediately after the operation, though the attending surgeon insisted that the droop was merely a result of routine bruising and swelling. 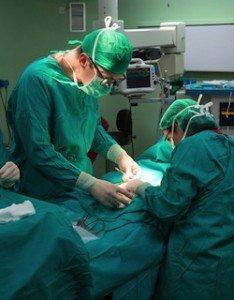 When it did not resolve, the parents, though legal professionals, accused the surgeon of being negligent. The case was settled out of court—one week before the trial would have been held. According to HealthHype.com, facial droop is a condition which results in a sagging face and is caused by loss of facial muscle tone. Several natural causes can lead to facial droop, and include a malfunction of facial nerves which result in the distortion of normal facial structure. The facial nerve is one of 12 cranial nerves that emerges directly from the brain and is considered high risk for complications. According to HealthHype, botched surgeries are a main cause of facial droop. Common procedures that can go wrong and result in droop include tumor resection anywhere along the facial nerve, surgery of the parotid gland, acoustic neuroma resection, mastoid surgery, tonsillectomy, and some dental procedures. Another common cause for facial droop, which may be the fault of a medical professional, is birth trauma. According to The New York Times, the incorrect use of epidural anesthesia or improper use of medication to induce labor can lead to facial droop. The Times reports that facial droop affecting the lower part of the facial nerve is the most common type of facial nerve palsy resulting from birth trauma. If you or someone you know has experienced facial droop as a result of a medical procedure, you may be eligible for compensation. Do not go through it alone. Contact an experienced Connecticut medical malpractice attorney today. Medical malpractice is the third leading cause of death in the United States, according to the Journal of American Medicine and as reported by Forbes. In the U.S., a malpractice payout is made every 43 minutes and amounts to a stunning $3 billion in 2012. However, according to Forbes, there are several steps a person can take to avoid malpractice suits—the most important of which is to be your own healthcare advocate. 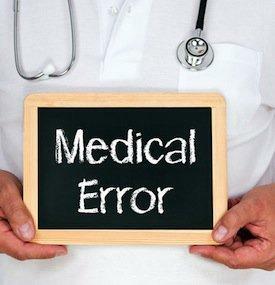 Understanding medical malpractice and how to approach it is the most important step to dealing with it and getting your life back on track in the event of a malpractice issue. To begin, you have the right to file a malpractice claim if “a provider’s negligence causes injury or damages to a patient,” reports Forbes. Negative results from medical care do not always amount to a malpractice claim, however, and there are certain limitations regulated by the state when it comes to what types of incidents can be considered malpractice, as well as the timeframe for which a claim can be filed. The Chief Attorney’s Office notes, however, that if a patient can prove that the medical professional had a continuing duty to warn him or her about the consequences of malpractice or possible negative effects of procedure, the statute of limitations can be extended. There must be evidence that the doctor failed to fulfill his duty in the period that follows the original wrong, and that duty must be proved to be within the typical standard of care. If you suspect you have been victim of medical malpractice and have questions regarding the medical malpractice statute of limitations, the most important step is to seek legal counsel. Contact a Westport medical malpractice attorney today.